What a jam-packed weekend we have on tap in the 88th Assembly District. There are movies, meetings, lectures, dinners, the White Plains Jazz Fest and much more taking place in our cities, towns and villages. Here’s a closer look at some of the events that are taking place in the 88th. Have a good weekend and remember that if you have an event that you’d like me to include in the coming weeks, send the information to Paulina@NYAssembly.gov. The Westchester Reform Temple (255 Mamaroneck Road, Scarsdale) will host speaker Dr. Jane Gerber as part of The Women of Reform Judaism Fall Dinner at 6 p.m. Visit wrtemple.org for more information. 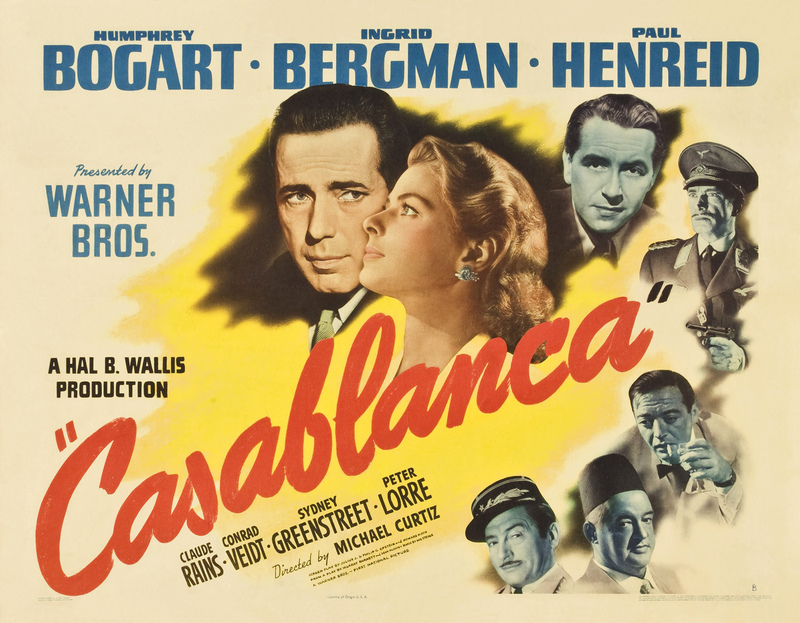 Concordia College (171 White Plains Road, Bronxville) will host a screening of the Humphrey Bogart classic “Casablanca” at 7 p.m. Visit concordia-ny.edu for more information. ArtsWestchester (31 Mamaroneck Avenue, White Plains) will host The Ray Blue Quartet, a Peekskill-based jazz ensemble from 7:30-9:30 p.m. followed by Jazz Jam as part of the 2017 White Plains JazzFest. Visit artswestchester.org for more information. The JCC of Mid-Westchester (999 Wilmot Road, Scarsdale) will show the films “Breakfast at Ina’s” and “The Last Blintz” from 10:30 a.m.-noon. Westchester native Kent Patterson will discuss his book “Images of America: Westchester County Airport” at the Bronxville Library (201 Pondfield Road, Bronxville) from 7-8 p.m. Visit bronxvillelibrary.org for more information. The Scarsdale Woman’s Club (37 Drake Road, Scarsdale) will host “From the Branch to the Bottle”, a presentation and sampling of olive oils by the Twisted Branch Olive Oil and Vinegar Tap Room. Visit scarsdalewomansclub.org for more information. The Woman’s Club of White Plains (305 Ridgeway, White Plains) will be hosting “Corks & Forks”, an evening of wine tasting, specialty cocktails and tastings of foods donated, prepared, and served by local restaurants, at 7 p.m. Visit womansclubofwhiteplains.org for more information. ArtsWestchester (31 Mamaroneck Avenue, White Plains) will host The Pablo Mayor Folklore Urbano Sextet at 8 p.m. as part of the White Plains Jazz Fest. Visit artswestchester.org for more information. The City of New Rochelle will host “Hispanic Heritage Celebration Day” from noon-3 p.m. at The Hugh Doyle Senior Center (94 Davis Avenue, New Rochelle). There will be food, a DJ and more. Visit newrochelleny.com for more information. The Pelham Art Center (155 Fifth Avenue, Pelham) will host an opening reception from 6:30-8 p.m. for the exhibit entitled “The Children’s Hour”. Artists Randy Bolton, Holland Cunningham, Cristina Grassi, Elizabeth Holtry, Scott Hunt, Leslie Lerner, Dennis Masback and Andrew Shears will be on hand. Visit nrca.org for more information. Jazz pianist Jon Wiess will perform at Alvin & Friends Restaurant (14 Memorial Highway, New Rochelle) from 7-10 p.m. Visit alvinandfriends.com for more information. The Junior League of Central Westchester (JLCW) invites women living or working in Eastchester, Greenburgh, Scarsdale and White Plains to its semiannual Sip & Swirl events for interested new members at Wayside Cottage on Wednesday at 9:30 a.m. Visit jlcentralwestchester.org for more information. The City of White Plains will host its “Back to School Video Dance Party” for teens at Delfino Park (110 Lake Street, White Plains) from 7-9:30 p.m. The event is for middle schoolers. No parents allowed. Visit cityofwhiteplains.com for more information. 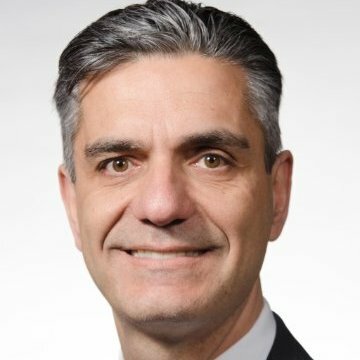 The New Rochelle League of Women Voters will host a “Coffee and Conversation” with New Rochelle Department of Development Commissioner Luiz Aragon from 9:30-11 a.m. at the New Rochelle Library (1 Library Plaza, New Rochelle). Visit nrpl.org for more information. Larisa Schuckle, a field educator with the Ethical Choices Program Educating for a Better World, will discuss the connection between diet and health at The Tuckahoe Library (71 Columbus Avenue, Tuckahoe) at 4 p.m. Visit tuckahoelibrary.org for more information. The St. Paul’s Church and National Historic Site (897 South Columbus Avenue, Mount Vernon) will host author Stephen Jaffe at 1 p.m. as he discusses the history of New York City and its surrounding communities during World War I. Visit nps.gov/sapa for more information. The Picture House (175 Wolfs Lane, Pelham) will host the 6th annual Picnic in the Park with a 6 p.m. showing of “Battle of the Sexes”. 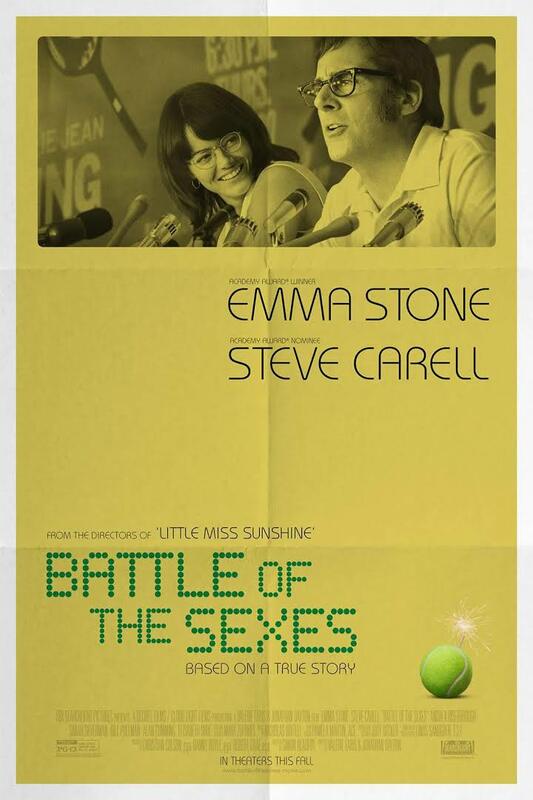 Starring Emma Stone and Steve Carell. The film will be followed by a picnic in the park across the street from the theater. Visit thepicturehouse.org for more information. The Bartow-Pell Mansion Museum (895 Shore Road, Pelham Bay Park) will host its historical fiction book club “Literary Elevenses” from 10-11:30 a.m. There will be tea and snacks. Visit bartowpellmansionmuseum.org for more information. The Thomas Paine Cottage (20 Sicard Avenue, New Rochelle) will host a special Community Day event to commemorate the 100th anniversary of World War I and its impact on New Rochelle. Visit newrochelleny.com for more information. The Peter Hand Trio will perform at Alvin & Friends Restaurant (14 Memorial Highway, New Rochelle) from 7:30-10:30 p.m. Visit alvinandfriends.com for more information. Selichot Service at Scarsdale Synagogue Temples Tremont and Emanu-El (2 Ogden Road, Scarsdale) will screen and discuss the Tom Hanks film “A Hologram for a King” at 7 p.m. followed by dessert and a Selichot service. Visit sstte.org for more information. Shaarei Tikvah (40 Fox Meadow Road, Scarsdale) will host special guest speaker Ruth Messinger, the former president of the American Jewish World Service and Manhattan Borough President, for a powerful evening of learning, introspection, and conversation at 8:30 p.m. Visit shaareitikvah.org for more information. The City of White Plains Wellness Week Festival will take place at Tibbits Park (North Broadway and Lake Street from noon-4 p.m. Visit ww.cityofwhiteplains.com for more information. The Great White Plains Campout will take place at Delfino Park (110 Lake Street, White Plains) from 2 p.m. until 11 a.m. on Saturday. Activities include nature workshops, kayaking, games, magic show, outdoor movie, a campfire, ghost stories, and leisure fun under the stars. Visit cityofwhiteplains.com for more information. 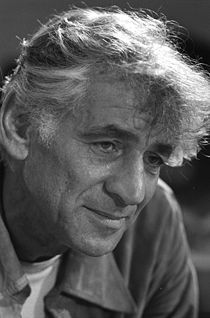 The New Rochelle Opera will present “Leonard Bernstein & Friends” at Iona College’s Christopher J. Murphy Auditorium (715 North Avenue, New Rochelle) at 3 p.m. Visit nropera.org for more information. Barnes & Noble (680 Post Road, Scarsdale) will host a “Local Author’s Festival” from noon- 4 p.m. More than 30 local authors will have an opportunity to discuss and promote their published books. The bookseller will also host author Barbara Santarelli, who penned “Everything I Ever Wanted” for a discussion at 2 p.m. Call 914-472-0689 for more information. The Angels in the Chamber Ensemble will perform at The New Rochelle Public Library (1 Library Plaza, New Rochelle) at 3 p.m. Visit nrpl.org for more information. The 2017 White Plains Jazz Fest concludes with an all-day concert on the Jazz Fest Main Stage on Mamaroneck Avenue in White Plains. The SUNY Purchase Jazz All-Stars, The Kenny Lee All-Stars, The Steve Kroon Latin Jazz Sextet, Sage and Donald Harrison are all scheduled to perform beginning at noon. Visit artswestchester.org for more information. The Eastchester Town Wide Yard Sale will take place from 10 a.m.-3 p.m. at the Eastchester Public Library (11 Oakridge Place, Eastchester). Visit eastchester.org for more information. The Hutchinson River Restoration Project will host its annual cleanup of the Thomas Pell Wildlife Sanctuary between 9 a.m.- 3 p.m. at Shore Road and City Island Road in the Bronx. Volunteers will launch from canoes to help clean and restore the banks of the Hutchinson River, including Pelham Bay Park. Visit eventbrite.com/e/thomas-pell-wildlife-sanctuary-clean-up-tickets-36926519213 for more information. Summer officially begins as we head into the last full weekend of June. The cities, towns and villages of the 88th Assembly District have plenty of movies, music, presentations and more to help make the weekend more enjoyable. The White Plains Noon Day Concert Series continues at Renaissance Plaza (Main Street and Mamaroneck Avenue) from noon-2 p.m. Ivan Polanco will perform this week. Visit cityofwhiteplains.com for more information. The White Plains BID will host the “Summer SoulSTICE Concert from 5-9 p.m. at Church and Main Streets as a way to celebrate the longest day of the year. The New Review and Shayna Steele are scheduled to perform. There will be food, drinks and more. The concert will be held rain or shine. Visit wpbid.com for more information. 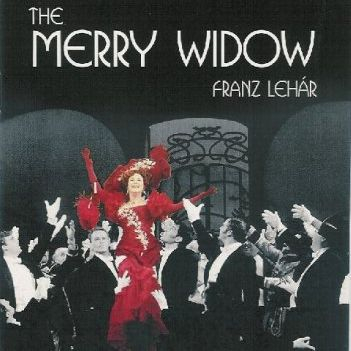 The New Rochelle Opera will present “The Merry Widow” at The Ursuline School (1354 North Avenue, New Rochelle) at 8 p.m. There will also be shows on Friday and Saturday at 8 p.m. and on Sunday at 3 p.m. Visit nropera.org for more information. Monroe College and the New Rochelle Police Department will host “Coffee With A Cop” from 10 a.m.-noon at The Barnes & Noble Café (33 Lecount Place, New Rochelle). 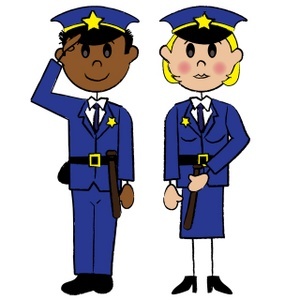 Join friends and neighbors for a casual conversation with members of the city’s police force. Visit newrochellenny.com for more information. The Westchester County Mobile Passport Program will be at Bronxville Village Hall (200 Pondfield Road, Bronxville) from 11 a.m.-2 p.m. Visit villageofbronxville.com for more information. The Scarsdale Library (54 Olmstead Road, Scarsdale) will present “Build a Better World” as it kicks off its 2017 Summer Reading Program at 1 p.m. Visit scarsdalelibrary.org for more information. The New Rochelle Down to Earth Farmer’s Market will take place at Huguenot Park at the corner of North Avenue and Eastchester Road at 8:30 a.m. and will stay open until 2:30 p.m. There will be produce, baked goods, cheese and more. New Rochelle Mayor Noam Bramson will be on hand for a ribbon-cutting ceremony. Visit downtoearthmarkets.com for more information. The Scarsdale Recreation Department will host its first of three “Parties in the Park” at Chase Park (32 Chase Road, Scarsdale) from 6-8 p.m. There will be live music and other entertainment. Visit scarsdale.com for more information. The Westchester Reform Temple (255 Mamaroneck Road, Scarsdale) will host “Baby Boomer’s Sha-Ba-Baque” following summer services. There will be a barbeque dinner, wine and more. Visit wrtemple.org for more information. Almost Queen will perform at The White Plains Performing Arts Center (11 City Place, White Plains) at 8 p.m. Almost Queen is considered one of the most authentic Queen shows performing today. Visit wppac.com for more information. The Westchester County pools and beaches open full-time for the summer. They include Croton Point, Playland and Glen Island beaches; Playland, Saxon Woods, Tibbetts Brook and Willson’s Woods pools. Visit westchestergov.com for more information. Bob Stewart and The Jazz Men will perform at Alvin & Friends Restaurant (14 Memorial Highway, New Rochelle) from 8:00-11 p.m. Visit alvinandfriendsrestaurant.com for more information. Beth-El Synagogue Center (1324 North Avenue, New Rochelle) will host “Kabbalat Pride Shabbat” at 6 p.m. Alyx Bernstein, a storyteller from Mosaic of Westchester, will speak. Visit bethelnr.org for more information. The New Rochelle Police Force will host “Cool Out With The Cops” from 6-8 p.m. at The Barnes & Noble Café (33 Lecount Place, New Rochelle). Meet and greet the New Rochelle police officers and members of The P.A.C.T Unit. Visit newrochelleny.com for more information. The Scarsdale Library (54 Olmstead Road, Scarsdale) will show “Mr. Blandings Builds His Dreamhouse, with Cary Grant, as part of its “Afternoon Movies For Adults” Series at 1:45 p.m. Visit scarsdalelibrary.org for more information. The Eastchester Public Library (11 Oakridge Place, Eastchester) will show “Silence”, with Liam Neeson, as part of its EPL Film Series at 1:30 p.m. Visit eastchesterlibrary.org for more information. The Pelham Library (530 Colonial Avenue, Pelham) will kick off its summer reading program with a performance by “Bash the Trash” from 3:30-5 p.m. Visit pelhamlibrary.org for more information. The Bronxville Farmer’s Market will take place at Stone Place at Paxton Avenue from 8:30 a.m.-1 p.m. Visit bronxvilleframersmarket.com for more information. The New Rochelle Police Foundation Benefit will take place from 6-10 p.m. at the home of Anthony and Carmen Paolercio (56 Wildcliff Road, New Rochelle). Contact Barbara Cabrera at 914-573-9115 for more information. Sarah Lawrence College (1 Mead Way, Bronxville) will host The 4th Annual Publish and Promote Your Book Conference from 8:30 a.m.-5:30 p.m. Visit sarahlawrence.edu for more information. New York State will allow free fishing on Saturday and Sunday in any of the state’s fresh or marine waters for anyone without a license. Visit dec.ny.gov/outdoor/89821.html for more information. The New Rochelle Library (1 Library Plaza, New Rochelle) will host its “Summer Reading Kick-off Celebration” at 11 a.m. Visit nrpl.org for more information. sed to car traffic. Visit westchestergov.com for more information. The Eastchester Farmer’s Market will take place in the parking lot of Country Markets of Westchester (344 White Plains Road, Eastchester) from 10 a.m. – 3 p.m. The Farmer’s Market will run through mid-October. Visit facebook.com/EastchesterFarmersMarket for more information. 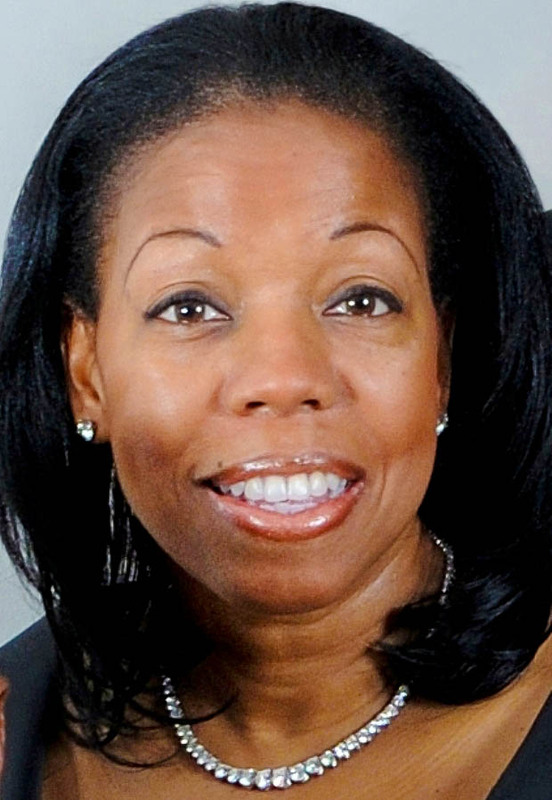 The Dedication of the New Rochelle Boys and Girls Club Janifer Lighten Teen Learning Center Reception and Naming Ceremony will take place from noon-2 p.m. at The Remington Clubhouse (116 Guion Place, New Rochelle). Visit bgcnr.org for more information. The Scarsdale Teen Center (862 Scarsdale Avenue, Scarsdale) and The American Red Cross will offer a babysitting training program from 9 a.m.-5 p.m. Visit scarsdaleteencenter.org for more information. Spring is almost here and what better way to celebrate the impending change of seasons than to enjoy the sights and sounds of the cities, towns and villages in the 88th Assembly District. There are plenty of holiday celebrations and parades this weekend so get out and enjoy them all. 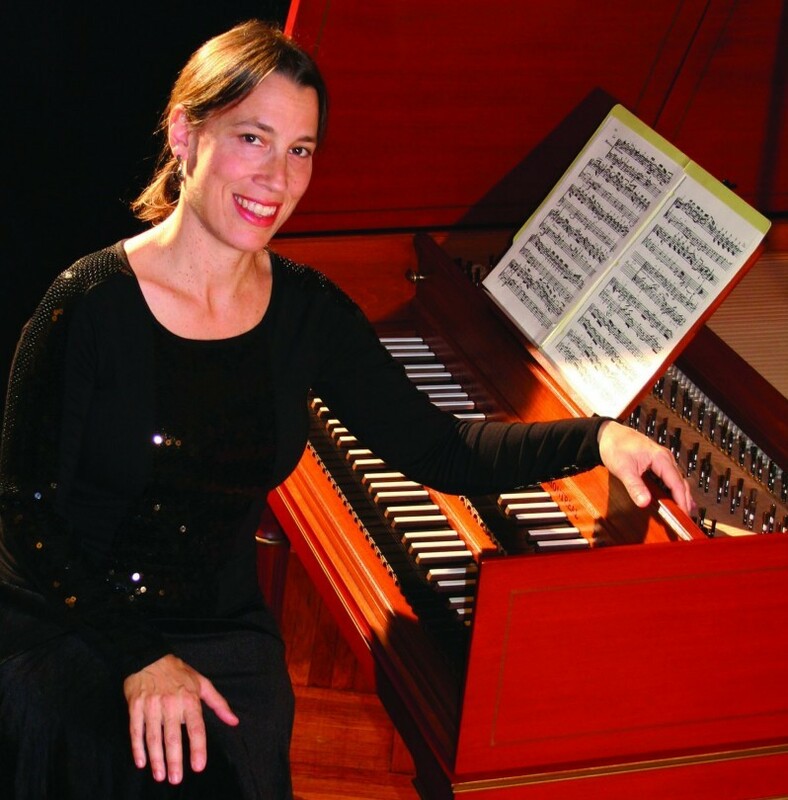 The Hitchcock Presbyterian Church (6 Greenacres Avenue, Scarsdale) will host the first of five performances in the 2017 Marguerite Manley Memorial Lenten Organ Recital Series at noon. Ryan Kennedy is scheduled to perform and there will be a lunch following the performance. Visit hitchcockpresby.org for more information. The Church in the Highlands (35 Bryant Avenue, White Plains) will host English Country Dancing at 7:30 p.m. Wear low-heeled, soft-sole shoes and arrive early for some beginner instruction. Call Christiane at 845-642-2074 for more information. 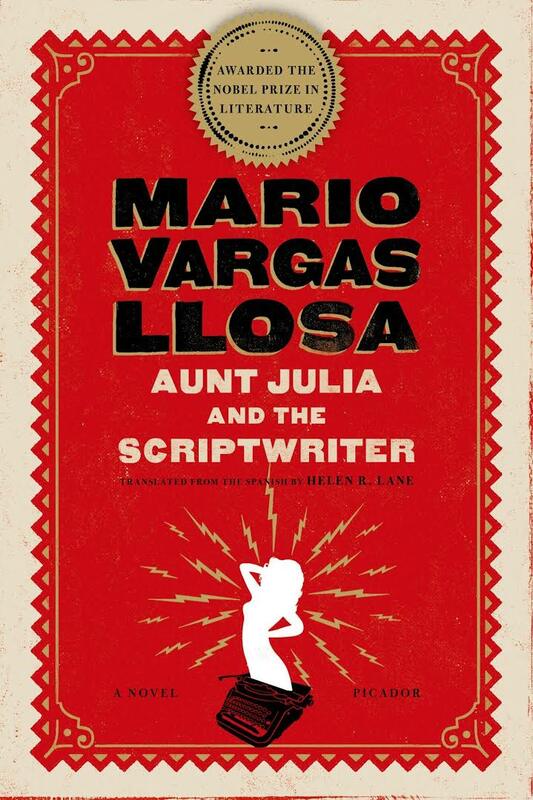 The After-Dark Book Club will meet at The Pelham Library (530 Colonial Avenue, Pelham) to discuss “Aunt Julia and the Scriptwriter” at 7:30 p.m. Visit pelhamlibrary.org for more information. The Bronxville Library (201 Pondfield Road, Bronxville) will host “Note Taking and Studying Effectively: A Workshop for Teens and Their Parents” at 7 p.m. Dr. Dominique Padurano of the Crimson Coaching tutoring firm will lead the discussion. Visit bronxvillelibrary.org for more information. The SOOP Theatre Company will perform The Lion King Experience Jr. Edition at The Manor Club (1023 Esplanade, Pelham Manor) at 7 p.m. on Friday and Saturday. There will also be 2 p.m. matinees on Saturday and Sunday. Visit sooptheatre.org for more information. 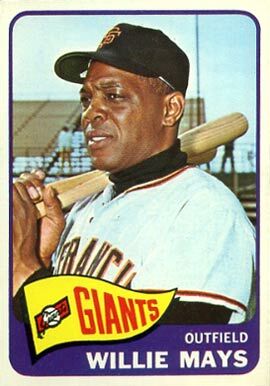 The March Madness Baseball Card Show will take place at The Westchester County Center in White Plains on Friday (2-8 p.m.), Saturday (10 a.m.-5 p.m.) and Sunday (10 a.m.-4 p.m.). Visit countycenter.biz for more information. The Second-Friday Book Club will meet at The Pelham Library (530 Colonial Avenue, Pelham) to discuss “The Master” at 10:30 a.m. Visit pelhamlibrary.org for more information. Si Kahn, Joe Jencks, & Maria Dunn will perform at The United Methodist Memorial Church (250 Bryant Avenue, White Plains) as part of the Walkabout Clearwater Coffeehouse music series. Doors open at 6:30 p.m. and the show begins at 7:30 p.m. Visit walkaboutclearwater.org for more information. The Westchester Reform Temple (255 Mamaroneck Road, Scarsdale) will host “Winter Stage 2017” as part of its Purim celebration. This year’s production will be “A Funny Thing Happened On The Way To The Purim”. There will be songs, music and more. Visit wrtemple.org for more information. The Bronxville Women’s Club (135 Midland Avenue, Bronxville) will host pianist Oxana Mikhailoff in a 7:30 p.m. concert. She will perform the works of Sergei Rachmaninoff. Visit bronxvillewomensclub.org for more information. Master hypnotist Asad Mecci will present “HYPNOHYPE” at the White Plains Performing Arts Center (11 City Place, White Plains) at 8 p.m. Visit wppac.com for more information. The St. Paul’s Church National Historic Site (897 S. Columbus Avenue, Mount Vernon) will present Anne Hutchinson & Ballet: Commemoration of Women’s History Month at 1 p.m. The Ajkun Ballet Company will perform a special dance to commemorate the lives of Anne Hutchinson, Abigail Adams and Eleanor Roosevelt, all of who had a connection to St. Paul’s. Visit nps.gov/sapa for more information. Scarsdale Synagogue Temples Tremont and Emanu-El (2 Ogden Road, Scarsdale) will host a Comedy Night at 7:30 p.m. There will be a deli dinner and desserts. Visit sstte.org for more information. The 20th annual City of White Plains St. Patrick’s Day Parade will begin at noon at the corner of Mamaroneck Road and Livingston and finish in front of City Hall. Visit whiteplainsstpatricksday.com for more information. The Leslie Pintchik Trio will return to Alvin & Friends Restaurant (14 Memorial Highway, New Rochelle), where she will perform from 7:30-11 p.m. Visit alvinandfriendsrestaurant.org for more information. The Hoff-Barthelson Music School (25 School Lane, Scarsdale) will kick off its week-long Baroque Period Music Festival. There will be student soloists and ensembles performing at the school at 2 and 4 p.m. The festival orchestra will also perform at the Community Unitarian Universalist Congregation (468 Rosedale Avenue, White Plains) at 7 p.m. on Saturday and Sunday. Visit hbms.org for more information. The Rye Playland Job Fair will take place at The Westchester County Center in White Plains from 9 a.m.- 2 p.m. Visit countycenter.biz for more information. The Stellar Wolfs, a Pelham-based band, will perform at Dudley’s (94 Hudson Park Road, New Rochelle) from 8-11 p.m. Visit facebook.com/stellarwolfs for more information. The Westchester Reform Temple (255 Mamaroneck Road, Scarsdale) will host “Purim Palooza” from 9 a.m.-12:30 p.m. There will be a family service followed by a carnival. Visit wrtemple.org for more information. The Bartow-Pell Mansion Museum (895 Shore Road, Pelham Bay Park) will conduct an 11:30 a.m. Pysanky Workshop where attendees will learn the fine art of making Ukrainian Easter eggs. Visit bartowpellmansionmuseum.org for more information. The Bronxville Women’s Club (135 Midland Avenue, Bronxville) will host its Spring Green Fashion Show and Luncheon at noon. There will be fashions for men, women and children presented by Lord & Taylor. Proceeds will go towards the restoration of the historic Bronxville Women’s Club Clubhouse. Visit bronxvillewomensclub.org for more information. Chabad of Pelham will present “Purim in China” at Pelham High School (575 Colonial Avenue, Pelham) from 4:30-6:30 p.m. There will be a Purim masquerade, a buffet and Chinese acrobats. Visit chabadpelham.com for more information. The Chabad of Bronxville will present “Purim in Israel” at the Bronxville Women’s Club (135 Midland Avenue, Bronxville) from 4:30-6:30 p.m. There will be food, dancing, face painting and more. Visit jewishbronxville.com for more information. The Eastchester Irish-American Social Club will host Eastchester’s 13th annual St. Patrick’s Day Parade at 3 p.m. The parade will begin at The Immaculate Conception School and proceed north on Main Street in Eastchester before going north on White Plains Road to Lake Isle Country Club. Visit eastchesterirish.org for more information. m carnival at 11 a.m. Visit sstte.org for more information. 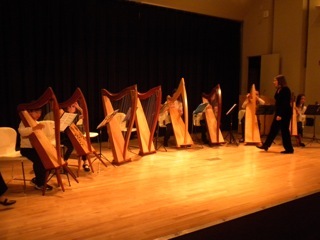 The Westchester Harp Ensemble will perform at the New Rochelle Library (1 Library Plaza, New Rochelle) at 3 p.m. Visit nrpl.org for more information. The Good Dog Foundation will be at The Scarsdale Library (54 Olmstead Road, Scarsdale) between 3-4 p.m. to give dog lovers a chance to pet and play with friendly dogs. Visit scarsdalelibary.org for more information. 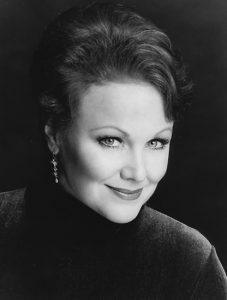 The New Rochelle Opera will begin its 2017 season with A Tribute to Martha Eggerth, who appeared in more than 2,000 appearances of The Merry Widow, at The Fountainhead (55 Quaker Ridge Road, New Rochelle) at 3 p.m. Visit nropera.org for more information. The weather took a fall turn this week but that doesn’t mean the weekend has to be spent raking leaves and doing yard work. There are plenty of wonderful activities in the cities, towns and villages of the 88th Assembly District to keep you busy outside of the backyard. The Bronxville Summer Concert Series performance will take place at 6:30 p.m. on Park Place. Andrew Cole and The Bravo Hops will be performing. Visit bronxvillechamber.com for more information. The Taconic Opera’s annual fundraiser will take place at 7 p.m. in the C.V. Rich Mansion (305 Ridgeway, White Plains). 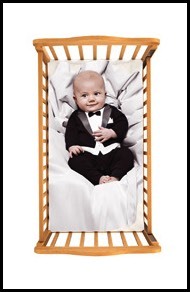 This year’s theme is “Opera Has a Baby”, featuring artists who will perform arias about young children. Visit taconicopera.org for more information. The Westchester Italian Cultural Center (24 Depot Square, Tuckahoe) will present “In Search of St. Francis”, a film about the legendary saint, at 7 p.m. Visit wiccny.org for more information. Alliance Francaise de Westchester (31 Mamaroneck Avenue, White Plains) will host an open house from 11 a.m.-2 p.m. Visit afwestchesterny.org for more information. Westchester Residential Opportunities Inc. will present a Homeowners Outreach Workshop at the New Rochelle Library from 1-4:00 p.m. Workshop topics include the New York State Mortgage Assistance Program, mortgage default and delinquency counseling, foreclosure prevention counseling, transitioning counseling, load modifications and credit counseling. Call 914-428-4507, ext. 307 for more information. The Eastchester Historical Society will host its annual fundraiser on the grounds of The Marble School House (388 California Road, Bronxville) at 6 p.m. This year’s theme is “Come and Meet John Adams”. Visit eastchesterhistoricalsociety.org for more information. The Bartow-Pell Mansion (895 Shore Road, Pelham Bay Park) will continue its Sunset Classical Concert Series at 7 p.m. when violinist Kristina Giles and harpsichordist Rebecca Pechefsky perform. Visit bartowpellmansionmuesum.org for more information. The Scarsdale Woman’s Club (37 Drake Road, Scarsdale) will host a Home and Garden Opening Tea at 2 p.m. Well-known gardener Kent Russell will be the featured speaker. Visit scarsdalewomansclub.org for more information. The Bronxville Women’s Club (135 Midland Avenue, Bronxville) brings back its Coffeehouse House Music Series with an 8 p.m. performance by singer-songwriter Judy Kass and Glen Roethel. Visit bronxvillewomensclub.org for more information. The Scarsdale Synagogue Temples Tremont and Emanu-El (2 Ogden Road, Scarsdale) will present “Picnic Shabbat” featuring blessing, songs, a picnic dinner, desserts, games and more. Remember to bring a blanket. Visit sstte.org for more information. Jazz pianist Jon Weiss and clarinet legend Sol Yaged will perform at Alvin & Friends Restaurant (14 Memorial Highway, New Rochelle) from 7-10 p.m. Visit alvinandfriendsrestaurant.com for more information. The Hugh Doyle Senior Center (94 Davis Avenue, New Rochelle) will celebrate “Oktoberfest” from noon-3 p.m. with knockwurst, red cabbage, desserts and more. Visit newrochelleny.com for more information. The New Rochelle League of Women Voters will host a Coffee & Conversation at The New Rochelle Library from 9:30-11 a.m. with New Rochelle City Council member Ivar Hyden. Visit nrpl.org for more information. The Westchester County Greek Youth Orchestra will be holding auditions from 5-7 p.m. Contact band director Thanos Kokkalas at kokkalas@me.com or call 347-701-6211 for more information. The Woman’s Club of White Plains (305 Ridgeway, White Plains) will host a furniture drive from 9 a.m.-noon to benefit Furniture Sharehouse. Visit womansclubofwhiteplains.org for more information. The Eastchester Community Action Partnership Advisory Council will present a “Mardi Gras Jazz and Gospel Fest” at the Bronxville Women’s Club (135 Midland Avenue, Bronxville) from 5-8 p.m. Visit bronxvillewomensclub.org for more information. The critically acclaimed off-Broadway hit “Blood Type Ragu” will be performed at the White Plains Performing Arts Center (11 City Place, White Plains) at 8 p.m. Visit wppac.com for more information. The Westchester Latin Music Festival will take place at The Westchester County Center in White Plains at 8 p.m. Visit countycenter.biz for more information. The Saturday Night Comedy Show will take place at the County Center in White Plains at 8 p.m. Visit countycenter.biz for more information. 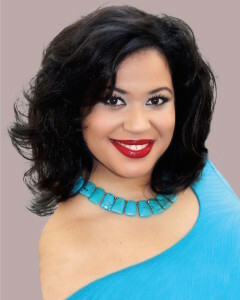 Jazmyn returns to Alvin & Friends Restaurant (14 Memorial Highway, New Rochelle) for a 7:30 p.m. performance. Visit alvinandfriends.com for more information. in the park across the street. There will be dancing as well. Visit thepicturehouse.org for more information. 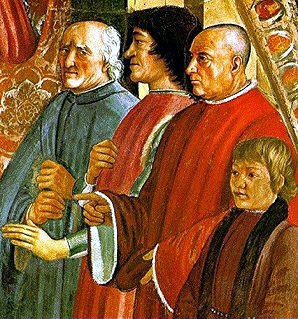 The Westchester Italian Cultural Center (24 Depot Square, Tuckahoe) will host a discussion on the Medici dynasty at 10:30 a.m. Visit wiccny.org for more information. The City of White Plains Youth Bureau will present “A Day of Wellness” from noon-4 p.m. on Court Street next to the Galleria. Talk to doctors, dentists and other health professionals while enjoying food and games. Visit cityofwhiteplains.com for more information. The New Rochelle Art Association will kick open its 101st annual Juried Exhibition at the New Rochelle Library. The show will run through Oct. 23. Visit nraaonline.org for more information. The Westchester County Fraternal Order of Police Lodge #9 invites everyone to set sail on a Statue of Liberty fundraising cruise that will leave from Fort Slocum Road (New Rochelle). Detective John Hynes of the Pelham Police Department can provide information about tickets etc. and can be reached at (914) 738-2000 or detppd@aol.com. 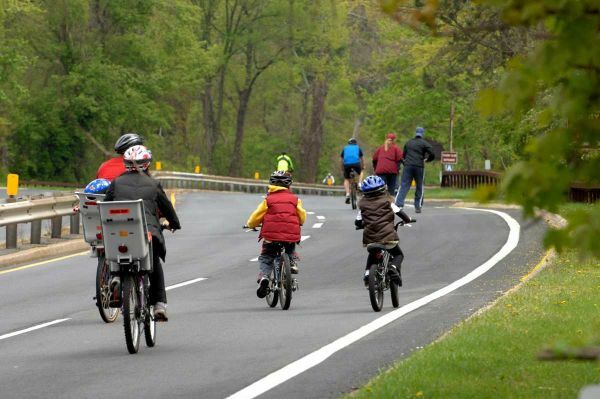 The Tuckahoe Challenge Road Race will take place at The Tuckahoe Community Center (71 Columbus Avenue, Tuckahoe). Check-in and registration begin at 7:30 a.m. There will be one-mile and 5K races, both beginning and ending at the community center. Visit tuckahoe.com for more information. The Eastchester Town-wide Yard Sale will take place from 10 a.m.-3 p.m. at the Eastchester Public Library (11 Oakridge Place, Eastchester). Visit eastchester.org for more information. The fourth annual New Rochelle Street Fair will take place on Main Street between Centre and North Avenue from 11 a.m.-5 p.m. Visit newrochelleny.com for more information. New Rochelle FoodFest 2016 kicks off a weeklong celebration of eating in the city. It’s an opportunity to sample the diverse and delicious culinary delights in New Rochelle. Visit newrochelleny.com/foodfest for more information. The Junior League of Pelham will host a prospective member informational session at 201 Highbrook Avenue, Pelham at 2 p.m. Visit jlpelham.org for more information. The New Rochelle Opera will present “OPERATTITUDES” in the Christopher Murphy Auditorium at Iona College (715 North Avenue) at 3 p.m. Visit nropera.org for more information. The eighth annual Friends of Peter C. Alderman Walk will take place at Fenway Country Club (384 Old Mamaroneck Road, White Plains) at 3 p.m. There will be a barbeque and games. Visit petercaldermanfoundation.org/events/friends-of-peter-walk/ for more information. The KIDS Snapper Fishing Derby will take place at Hudson Park and Beach (1 Hudson Park Road, New Rochelle) from 8 a.m.-noon. Visit newrochelleny.com for more information. The Bronxville Library (201 Pondfield Road, Bronxville) will kick off its annual book swap with the first of three drop-off dates. Books can be dropped off at the library between 1-4:30 p.m. and then again on Monday and Tuesday. The book swap will take place Sept. 22-24. Visit bronxvillelibrary.org for more information. Summer officially got underway this week so why don’t you celebrate by enjoying everything the 88th Assembly District has to offer. There is so much to see and do in our cities, towns and villages, including concerts, lectures and dancing. The New Rochelle Opera will celebrate its 31st anniversary with a performance of Giuseppe Verdi’s “Il Trovatore” at the Frank Auriana Theatre, Mooney-Hancock Arts Center at the Ursuline School (1354 North Avenue, New Rochelle) at 8 p.m. There will also be performances on Friday and Saturday at 8 p.m. and again Sunday at 3 p.m. Visit nropera.org for more information. Sarah Lawrence College (1 Mead Way, Bronxville) will continue to host its “Week of Readings By Poets and Writers” at the school’s Donnelley Theater in the Heimbold Visual Arts Center. Thomas Lux, the author of Selected Poems 1982-2012, will read from 1:30-2:30 p.m. Nami Mun, whose first book Miles from Nowhere, received a Whiting Award, a Pushcart Prize, the Chicago Public Library’s 21st Century Award, The Hopwood Award, and was shortlisted for the Orange Prize for New Writers and the Asian American Literary Award, will read from 4-5 p.m. Naomi Jackson and Jeff McDaniel will present a “Summer Seminar for Writers Reading” at 7:30 p.m. Visit sarahlawrence.edu for more information. The New Rochelle Council on the Arts’ “Pop-Up Performances” will take place at the New Rochelle Train Station from 5:30-7 p.m. The concerts will run every Thursday through Aug. 25. Visit newrochellearts.org for more information. The Westchester Chorale Society’s 39th season of “Summer Sings” continues at The Music Conservatory of Westchester (216 Central Avenue, White Plains) at 7:30 p.m. Visit westchesterchoralesociety.org for more information. The Pelham Library (530 Colonial Avenue, Pelham) will kick off its summer reading program at 2:30 with a visit by James Eyring, Master Falconer, specializing in birds of prey. Eyring will have a hawk, kestrel, owls, and falcons, demonstrating their abilities. 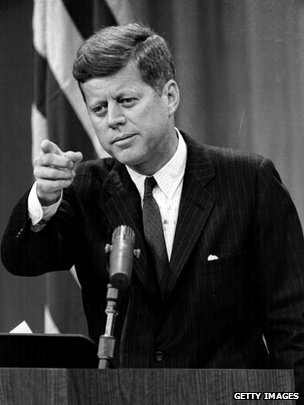 Visit pelhamlibrary.org for more information. The Bronxville Summer Concert Series kicks off at 6:30 p.m. on Parkway Road at Palmer Avenue with a performance by Sue & The Fun Ghouls. Visit bronxvillechamber.com for more information. The group Magic Touch will perform at noon in Renaissance Park (Mamaroneck Avenue and Main Street, White Plains) as part of the city’s Noon Day Concert series. Visit cityofwhiteplains.com for more information. Sarah Lawrence College (1 Mead Way, Bronxville) will continue to host its “Week of Readings By Poets and Writers” at the school’s Donnelley Theater in the Heimbold Visual Arts Center. Mark Jude Poirier, who wrote the novel Goats and the story collection Unsung Heroes of American Industry, will speak from 1:30-2:30 p.m. Yusef Komunyakaa, who won the 1994 Pulitzer Prize for poetry, will read from 4-5 p.m. Nami Mun and Komunyakaa will host a “Summer Seminar For Writers Reading” at 7:30 p.m. Visit sarahlawrence.edu for more information. All Westchester County pools and beaches will officially open for the summer season. The Saxon Woods pool in White Plains and Glen Island in New Rochelle are among the pools and beaches that will open. Visit westchestergov.com for more information. Tango Night returns to Alvin & Friends Restaurant (14 Memorial Highway, New Rochelle) from 7:30-11:45 p.m. Junior Cervila and Guadalupe Garcia and Mayte Vicens are scheduled to perform. Visit alvinandfriendsrestaurant.com for more information. 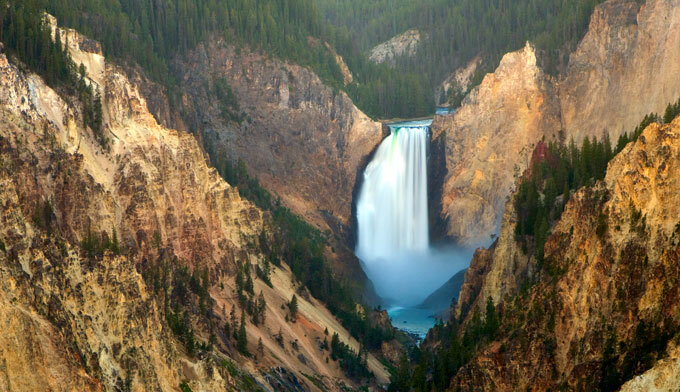 The St. Paul’s Church National Historic Site (897 S. Columbus Avenue, Mount Vernon) will host a virtual tour/exploration of Yellowstone, America’s first national Park. Visit nps.gov/sapa for more information. The Scarsdale Recreation Department’s “Parties in the Park” program will continue from 6-8 p.m. at Davis Park on Bradley Road. There will be music and other entertainment for the whole family. Visit scarsdale.com for more information. Scarsdale Synagogue Temples Tremont and Emanu-El (2 Ogden Road, Scarsdale) will celebrate LGBTQ Pride Month with an Erev Shabbat service at 6:15 p.m. Diana Schutt will speak about her daughter’s transgender experience. Mosaic of Westchester, a resource center for the LGBTQ community, will participate in the evening. Visit sstte.org for more information. The Writing Institute at Sarah Lawrence College (1 Mead Way, Bronxville) will host a “Publish and Promote Your Book Conference” from 8:30 a.m.- 4 p.m. during which prominent New York City literary agents, major publishing house editors, public relations experts, and social media experts will speak and give advice on how writers can get their work published. Visit sarahlawrence.edu for more information. The New York State Department of Environmental Conservation is sponsoring a free fishing weekend for Saturday and Sunday. Anyone can fish for free in fresh or marine waters of New York State even if they don’t have a license. All other regulations apply. Visit dec.ny.gov/outdoor/89821.html for more information. The closing reception for SHE will take place at ArtsWestchester (31 Mamaroneck Avenue, White Plains) from 5-8 p.m. Visit artswestchester.org for more information. The New Rochelle Public Library (1 Library Plaza, New Rochelle) will launch its annual summer reading program with a performance by the “Bash The Trash” duo at 11 a.m. Visit nrpl.org for more information. The Leslie Pintchik Trio will perform at Alvin & Friends Restaurant (14 Memorial Highway, New Rochelle) at 7:30 p.m. Visit alvinandfriendsrestaurant.com for more information. The Scarsdale Library (54 Olmsted Avenue, Scarsdale) summer reading program will kick off at 11 a.m. with a presentation of Mad Science. Visit scarsdalelibrary.org for more information. David Calamari, a Scarsdale magician and junior at Scarsdale High, will present “Nothing Up My Sleeves: An Intimate Evening of Close-up Magic” at &;30 at The Center@862 [862 Scarsdale Avenue, Scarsdale). Visit center862.com for more information. Young Israel of Scarsdale (1313 Weaver Street, Scarsdale) will host YIS On Tour at The Met, Art History and Judaism and Jewish History Through Art at 11 a.m. Visit yisny.org for more information. 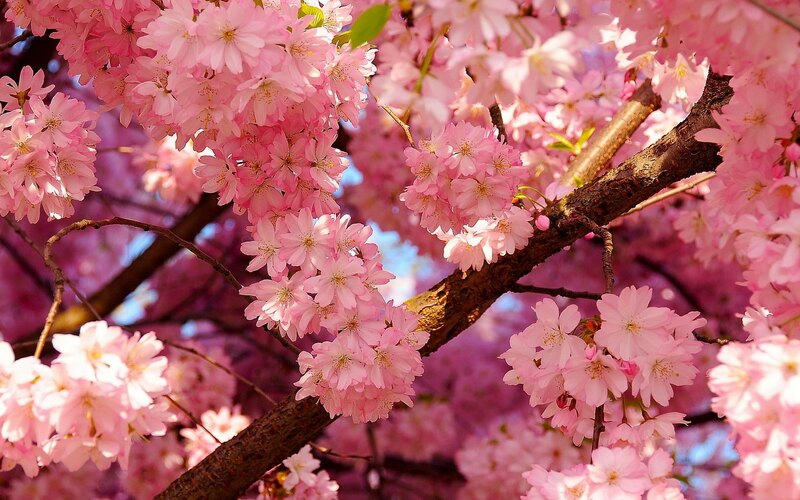 The spring weather has finally arrived so take the time this weekend to get out and enjoy the warmer temperatures while exploring all the wonderful things the cities, towns and villages of the 88th Assembly District have to offer. There is music, movies, discussions, shows and much more. The Westchester County Domestic Violence Council will meet in the Probation Conference Room on the seventh floor of the County Courthouse from 12:30-2 p.m. Visit westchestergov.com for more information. The Allstate Readiness Teen Driver Workshop will take place at the White Plains Library (100 Martine Avenue, White Plains) from 5-8 p.m. Teens can learn safe driving tips from certified driving instructor Jim Fatigate while earning one hour of community service credit for attending. Visit westchestergov.com for more information. The Hoff-Barthelson Music School (25 School Lane, Scarsdale) will host performances at 6:15 and 8 p.m. on Thursday and Friday, featuring faculty and student solos as well as ensembles as part of “Celebration 2016: T Music of Our Time”, the school’s 27th annual festival of contemporary music. There will also be performances on Saturday at 2:00, 4:00 and 8:00 p.m. Visit hbms.org for more information. The New Rochelle Opera’s 31st Anniversary Spring Gala will take place at The Fountainhead (55 Quaker Ridge Road, New Rochelle) from 6:30-10 p.m. Visit nropera.org for more information. The Scarsdale Edgemont Family Counseling Service will honor Emily Vallario and Margaret Smith at “Starry Night”, its annual benefit gala. The festivities will take place at Scarsdale Golf Club (Club Way, Hartsdale) at 6:30 p.m. Visit sfcsinc.org for more information. I will be speaking at the Westchester County Association advocacy event at WCA headquarters (1133 Westchester Avenue, White Plains) at 8 a.m. Visit westchester.org for more information. Hyatt Playground in Scarsdale (167 Scarsdale Boulevard) will be the site of “Parties in the Park” from 6-8 p.m. Celebrate the park’s grand re-opening with balloon animals, face painting, ice cream and more. Visit scarsdale.com for more information. Mount Vernon resident Peter Lawrence will perform jazz, swing and bounce standards at the St. Paul’s National Church Historic Site (897 S. Columbus Avenue, Mt. Vernon) at 3 p.m. Visit nps.gov/sapa for more information. Actress Cicely Tyson, Academy-Award winning director Paul Haggis and Pelham Picture House board member Eric Salmeron will be honored at the Pelham Picture House Spring Soiree at the Hampshire Club (1025 Cove Road, Mamaroneck) at 7 p.m. Visit thepicturehouse.org for more information. The Bartow-Pell Mansion Museum will (895 Shore Road, Pelham Bay Park) will host a mansion and cottage trolley tour of historic homes and gardens from 9:30 a.m.-3 p.m. Visit bartowpellmansionmuseum.org for more information. The Bronxville Women’s Club (135 Midland Avenue, Bronxville) will hold its annual Literature Section Picnic Luncheon and Book Discussion at noon. The book being discussed is “The House I Loved” by Tatiana de Rosnay. Visit bronxvillewomensclub.org for more information. Jazz pianist Onaje Allan Gumbs will perform at Alvin & Friends Restaurant (14 Memorial Highway, New Rochelle)from 7-10:30 p.m. Visit alvinandfriendsrestaurant.com for more information. The New Rochelle High School Chorale will host Outdoor Movie Night at the high school (265 Clove Road, New Rochelle). The movie “Inside Out” will be shown on the front baseball field at 7:30 p.m. Call the school at 914-576-5634 for more information. Sarah Lawrence College (1 Mead Way, Bronxville) will present its “Senior Filmmaking Showcase” from 5:30-9 p.m. Senior film students will showcase their final films. Visit sarahlawrence.edu for more information. The Consulate General of México will be processing passports, consular IDs and birth certificates at the White Plains Library (100 Martine Avenue, White Plains) between 10 a.m.-1:30 p.m. on Friday and Saturday. Visit whiteplainslibrary.org for more information. The Westchester County Mobile Shredder will be in Scarsdale at the Scarsdale DPW Yard (110 Secore Road) from 10 a.m.-1 p.m. Visit environment.westchestergov.com/mobile-shredder for more information. The Bartow-Pell Mansion Museum (895 Shore Road, Pelham Bay Park) will celebrate Bronx Week with guided tours of the mansion from noon-4 p.m. on Saturday and Sunday. Visit bartowpellmansionmuseum.org for more information. Young Israel of Scarsdale (1313 Weaver Street, Scarsdale) and the UJA Federation of New York will present “Israel: The Jewish-Democratic Challenge” with special guest speaker Dr. Ruth Calderon at 9 a.m. Visit ujafedny.org/yis-luncheon for more information. The Leslie Pintchik Trio will perform at Alvin& Friends Restaurant (14 Memorial Highway, New Rochelle) from 7:30-11 p.m. Visit alvinandfriendsrestaurant.com for more information. The Junior League of Central Westchester will hold a tag sale from 8 a.m.-2 p.m. at Wayside Cottage (1039 Post Road, Scarsdale). Visit jlcentralwestchester.org for more information. The Pelham Arts Center (155 Fifth Avenue, Pelham) will host the Middle Eastern Folk Arts Event from 2-4 p.m. Visit pelhamartscenter.org for more information. The Walkabout Clearwater Coffeehouse will host folk singer/songwriter Vance Gilbert in a 7:30 p.m. concert at Memorial United Methodist Church (250 Bryant Avenue, White Plains). Visit walkaboutclearwater.org for more information. The St. Thomas Orchestra Spring Concert will take place at White Plains High School (550 North Street, White Plains) at 7:30 p.m. This year’s theme is a “Shakespeare Celebration”. Visit storchestra.org for more information. 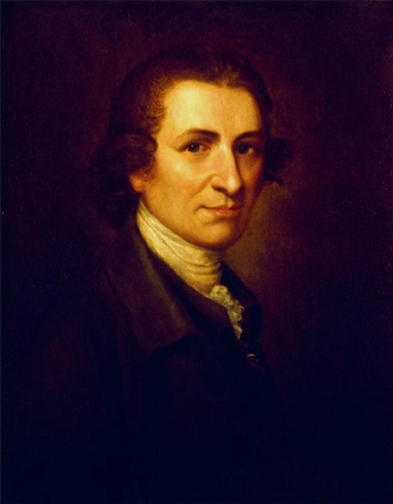 The New Rochelle Public Library (1 Library Plaza, New Rochelle) will preview the film “To Begin The World Over Again: The Life of Thomas Paine” at 3 p.m. Visit nrpl.org for more information. The First Baptist Church of White Plains (456 North Street, White Plains) will host “Dinner and a Movie Night” from 5-8:30 p.m. Visit firstbaptistwhiteplains.org for more information. The Board of Mission of Bethesda Baptist Church of New Rochelle (71 Lincoln Avenue, New Rochelle) will host a presentation entitled “Journey to South Africa” from 10 a.m.-noon. Visit bethesdabaptistny.org for more information. The Scarsdale Congregational Church (1 Heathcote Road, Scarsdale) will hold a garage sale from 9 a.m.-3 p.m. Visit scc-ucc.org for more information. The Arthur Manor Neighborhood Association will host a tag sale at Davis Park (Bradley Road, Scarsdale) from 10 a.m.- 3p.m. The rain date is Sunday. Contact Kate Nanke-Porco at knpdesign@optonline.net for more information. Helaine Fendelman, a nationally recognized author and appraiser, will be at the Scarsdale Library (54 Olmstead Road, Scarsdale) from 1-3 p.m. to provide free appraisals on art, antiques and collectibles. Visit scarsdalelibrary.org for more information. The Oasis Shelter Fundraiser/Tag Sale will take place on Saturday and Sunday from 10 a.m.-4 p.m. at the Martin Luther King Center (95 Lincoln Avenue, New Rochelle). Call 914-500-9194 for more information. The White Plains Friends of the Library Annual Meeting will take place at the library (100 Martine Avenue) from 2-4 p.m. Susan Gordon, author of “Because of Eva: A Jewish Genealogical Journey” will be the featured speaker. Visit whiteplainslibrary.org for more information. The Pelham Picture House (175 Wolfs Lane, Pelham) will present “Science on the Screen”, a film about baseball and the science surrounding it. Director Jonathan Hock will be available for discussion after the 4 p.m. show. Visit thepicturehouse.org for more information. The Play Group Theatre (One North Broadway, White Plains) will present “Hands on a Hardbody: A New Musical Made in America” with shows at 2 and 7 p.m. Visit playgroup.org for more information. The Scarsdale-based Hoff-Barthelson Music School will present “Celebration 2016: The Music of Our Time” as part of its 27th annual festival of contemporary music in a 7 p.m. performance at the Community Unitarian Universalist Congregation (468 Rosedale Avenue, White Plains). Visit hbms.org for more information. The JCC of Mid-Westchester will continue its Jews Around the World series with a look at Iran with Hazzan (Cantor) Farid Dardashti at 2 p.m. Visit jccmw.org for more information. Feria de los Moles, the largest Mexican food festival in the United States, will take place at 1 Library Plaza in New Rochelle from noon-6 p.m. Visit feriadelosmoles.com for more information. The Bronxville Library (201 Pondfield Road, Bronxville) will host a chamber music concert from 3-5 p.m. Visit bronxvillelibrary.org for more information. The Archeological Association of Westchester will present a lecture at the Scarsdale Library (54 Olmstead Road, Scarsdale) from 2-5 p.m. Visit scarsdalelibrary.org for more information. The New Rochelle Day Nursery will be holding a 120th anniversary celebration from noon-3:30 p.m. at Patsy’s (2 Pelham Road, New Rochelle). Visit newrochelledaynursery.org for more information.